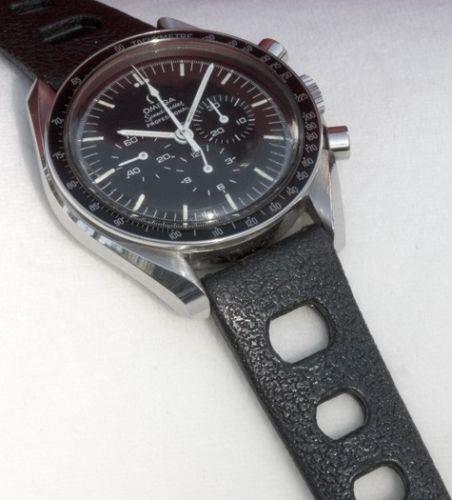 One of the most popular styles of the 1960s/70s Tropic type bands for Heuer owners and vintage dive watch collectors. I have just three left of these less expensive ones. 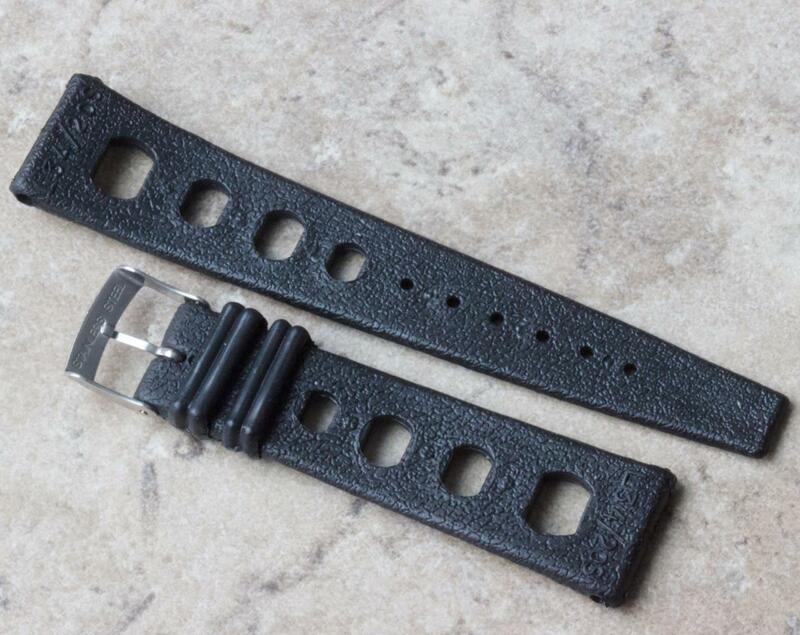 Nice economical option to fit your 20mm Rolex Submariner or Rolex GMT sports models and perfect for the Omega Speedmaster 20mm models as shown above. 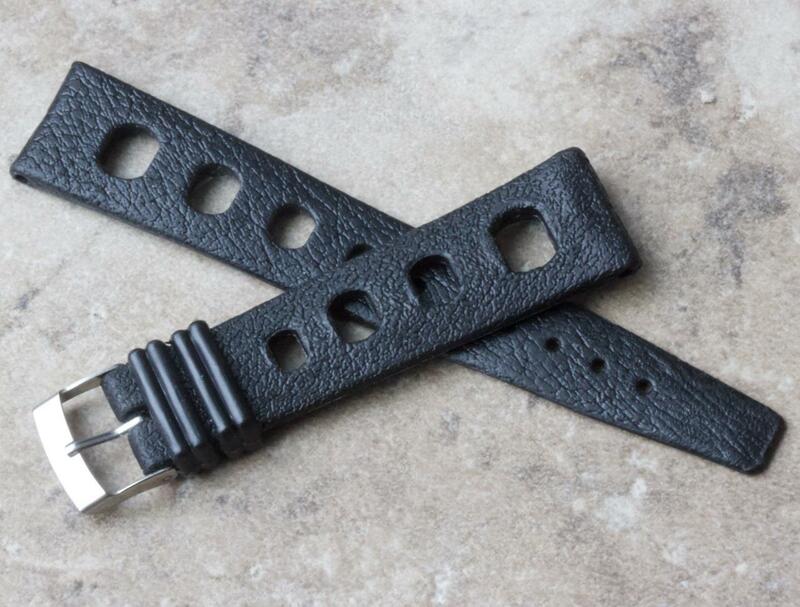 These unsigned Tropic type straps are a great bargain these days with the price of Swiss Tropic bands soaring. New Old Stock from the 1960s and ‘70s. 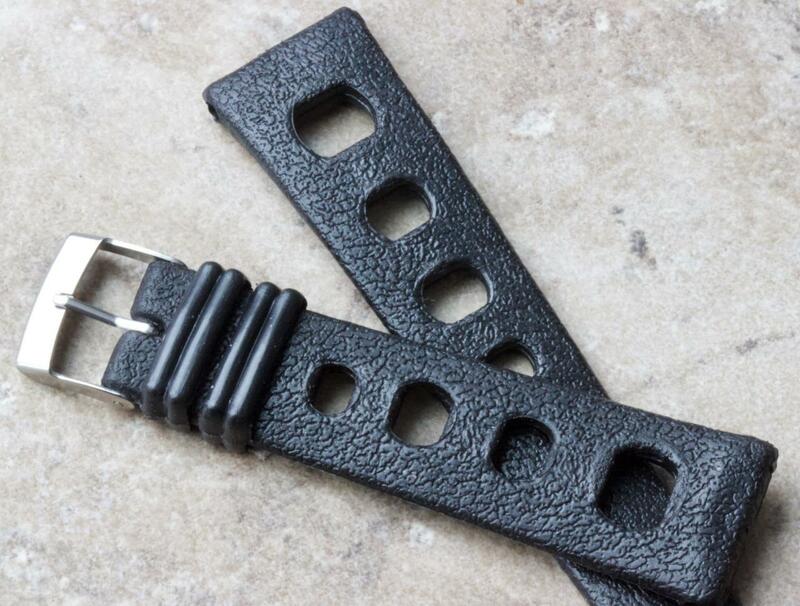 Standard length unsigned strap measuring 7 3/8 inches (18.6cm) placed end to end, not counting the buckle. Metric measurements of the two individual pieces are 113/73mm. 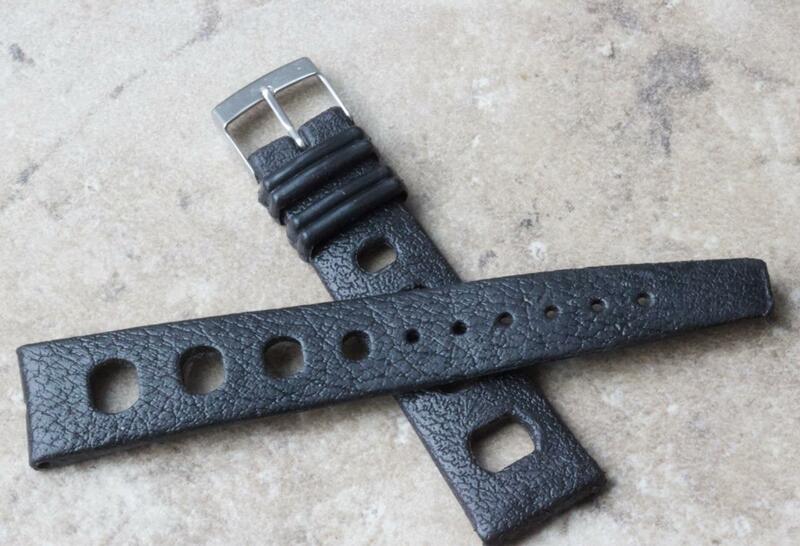 Takes a 16mm buckle if you have a signed one for this vintage watch strap. 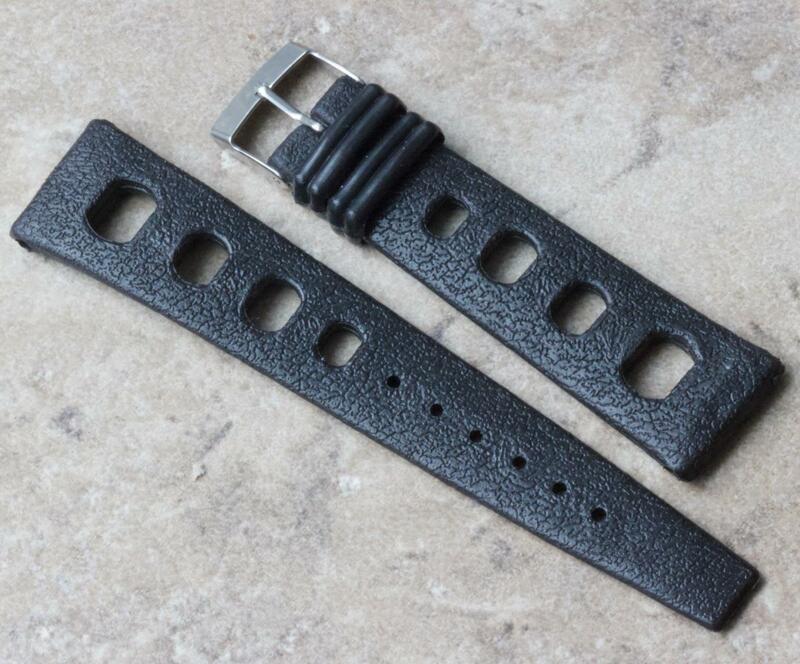 Strap is 4.8mm thick where it meets the watch and 2.5mm thick at the tail end. Large spring bar holes. At that price you are saving $10 per band over Squinky.com prices for being a CT member. Shipping cost $6.99 for U.S. shipping or $19.99 for international delivery via First Class.